Ganesh Chaturthi is the Hindu festival celebrated on the birthday (rebirth) of Lord Ganesha, the son of Shiva and Parvathi. It is believed that Lord Ganesh bestows his presence on earth for all his devotees during this festival. It is the day Shiva declared his son Ganesha as superior to all the gods, barring Vishnu, Lakshmi, Shiva and Parvathi. Ganesha is widely worshiped as the god of wisdom, prosperity and good fortune and traditionally invoked at the beginning of any new venture or at the start of travel. The festival, also known as Ganeshutsav (“festival of Ganesha”) is observed in the Hindu calender month of Bhaadrapada, starting on the shuklachaturthi (4th day of the waxing moon period). The date usually falls between 19 August and 20 September. The festival lasts for 10 days, ending on Anant chaturdashi (14th day of the waxing moon period). 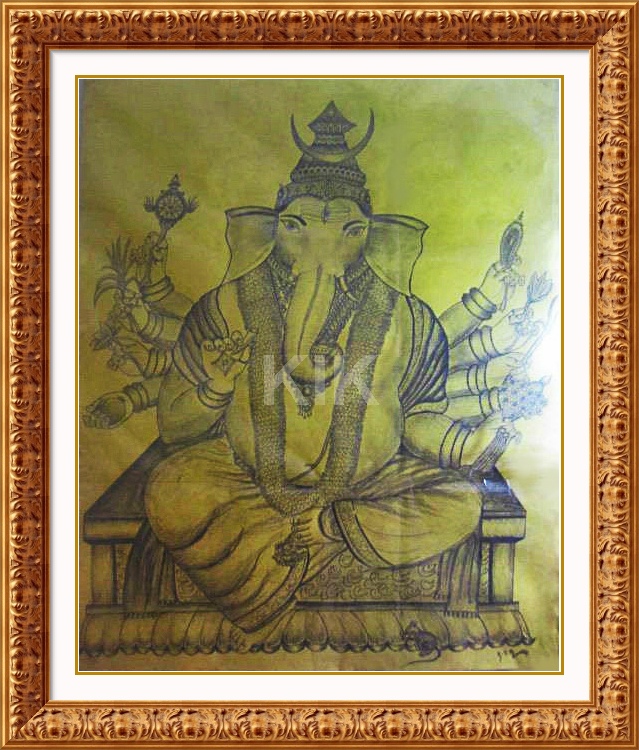 Traditional stories tell that Lord Ganesha was created by goddess Parvathi, consort of Lord Shiva. Parvathi created Ganesha out of sandalwood paste that she used for her bath and breathed life into the figure. She then set him to stand guard at her door while she bathed. Lord Shiva returned and, as Ganesha didn’t know him, he didn’t allow him to enter. Lord Shiva became enraged and asked his follower ghosts to teach the child some manners. 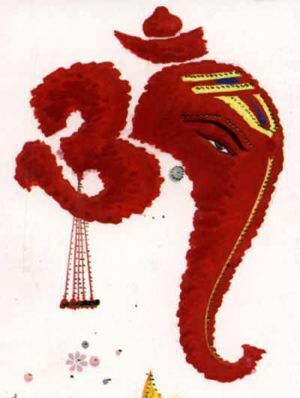 Ganesha was very powerful, being born of Parvathi, the embodiment of shakti (or power). He defeated the ghost-followers (called “Ghana”s) and declared nobody was allowed to enter while his mother was bathing. The sage of heavens, Narada, along with the Saptarshi (the seven wise rishis) sensed a growing turmoil and went to appease the boy with no results. Angered, the king of Gods, Indra attacked the boy with his entire heavenly army but even they didn’t stand a chance. By then, this issue had become a matter of pride for Parvathi and Shiva. After the devas were defeated, the trinity, the controller, preserver and destroyer of the universe launched an attack against Ganesha. Amidst the fighting, Shiva severed the head of the child. And brought on Parvathi’s rage. Seeing her son dead, Parvathi revealed her true self, as the Adi-shakti, the prime energy that fuels the universe and sustains matter. Taking on a terrible form, she vowed to destroy the universe where her son was killed and re-create a better one. The Gods prostrated before her and Shiva promised that her son will live again. The trinity hunted the world for a head and came across a mother elephant crying for her dead baby. They consoled the mother and fixed the head of the baby elephant in place of Ganesha’s head. Lord Shiva also declared that from this day, the boy would be called as “Ganesha” (Gana-Isha : lord of the Ganas). In this way, Lord Ganesha came to be depicted as the elephant-headed God. Lord Ganesha always dressed in white represents purity. He is omnipresent with gray complexion like that of ash glowing with spiritual splendor. The Lord with bright countenance has four arms. I meditate on the God who can destroy all obstacles whether material or spiritual.